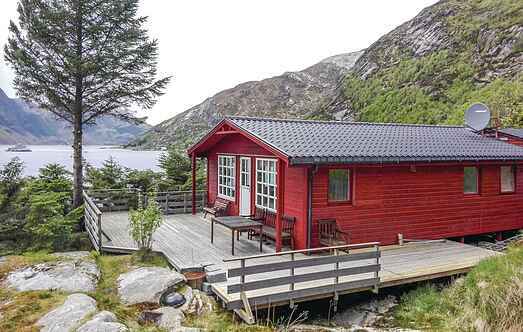 Find a vacation home to rent in Vågsøy Municipality from our list of vacation rental properties. Campaya has over 5 vacation homes available in Vågsøy Municipality, which give you the possibility to locate a unique accommodation in Vågsøy Municipality which completes your check-list in search for the perfect self catering vacation apartments in Vågsøy Municipality or vacation villas in Vågsøy Municipality. This lovely holiday house is located among the cliffs by the water. Husvågøy is situated at the beginning of Nordfjorden - an excellent fishing area. This cosy holiday house is located among the cliffs directly at the waterfront. Husvågøy is located approx. 4 km from Måloy, at the beginning of Nordfjorden. 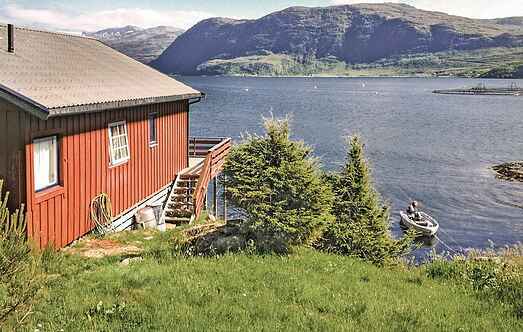 This house is centrally located in Malroy, overlooking the harbour where boats come and go, including the "Hurtigruten" ship that comes in everyday from the city of Bergen. Welcome to a holiday home in the beautiful Norwegian nature. The holiday home is situated on a former farm, idyllic placed just above the long and sandy beach Refviksanden. Welcome to this modern holiday home with exclusive furnishings. The apartment is situated in a domestic and official building and has a private terrace.